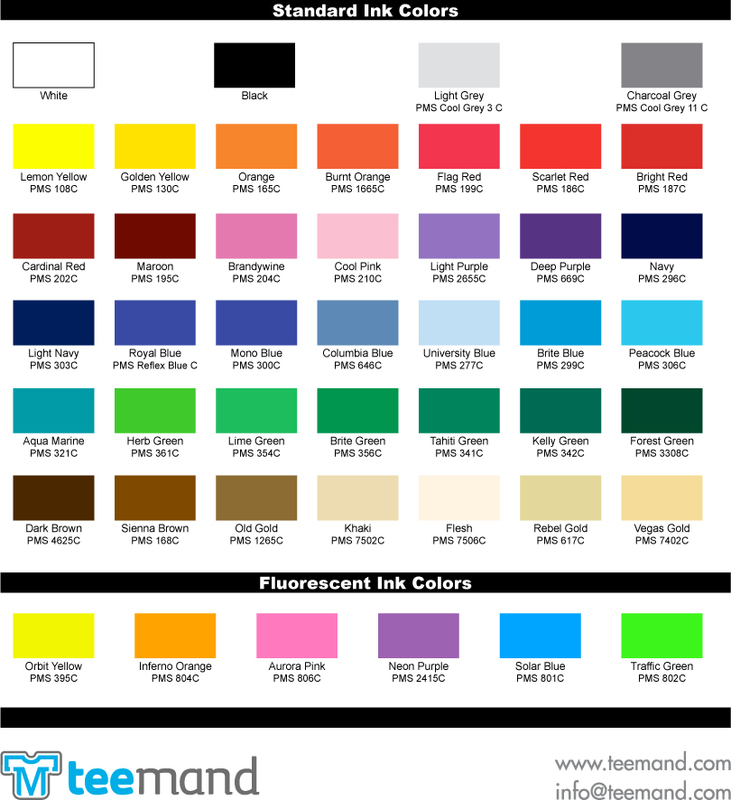 Below are our available standard ink colors. Please keep in mind that PMS numbers specified below are only estimates and are NOT exact. We also offer PMS color matching if you need a specific color within your design but there is an additional fee for this service. Please Contact Us for more information about PMS color matching or if you have any additional questions.